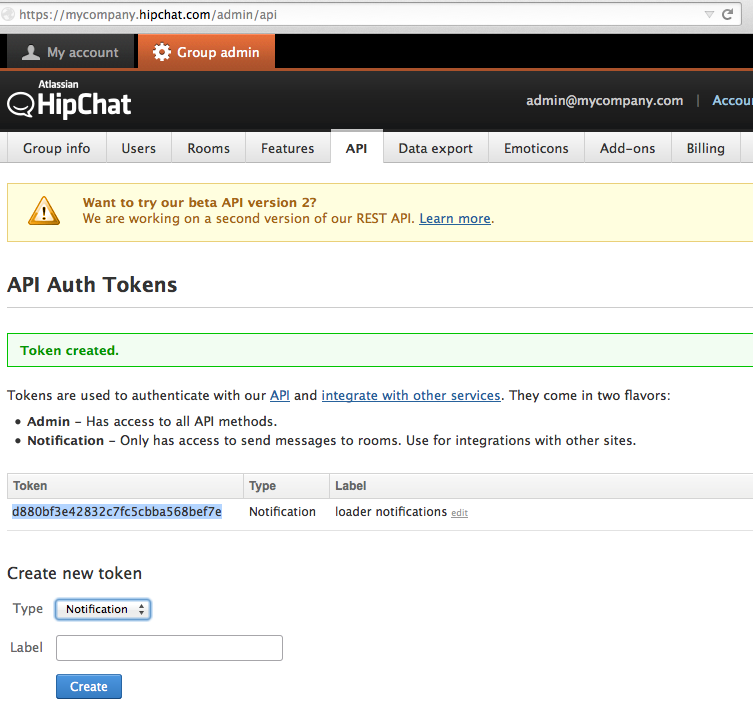 You can see the room ID in the URL as well as in the API ID field. 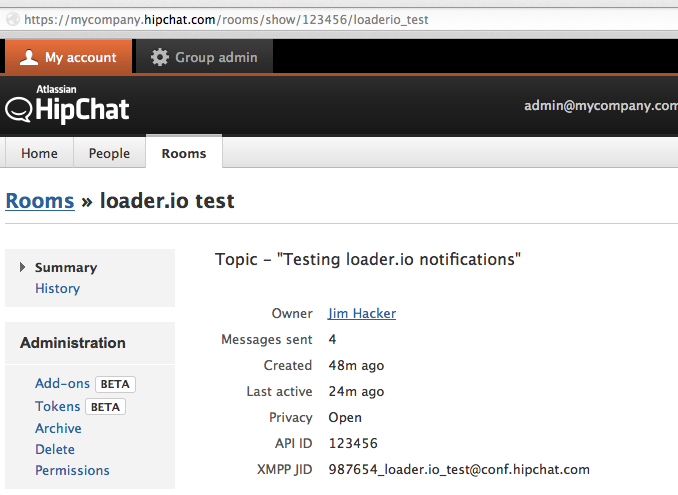 You should see a test message in the chat room when you save these settings. Success! 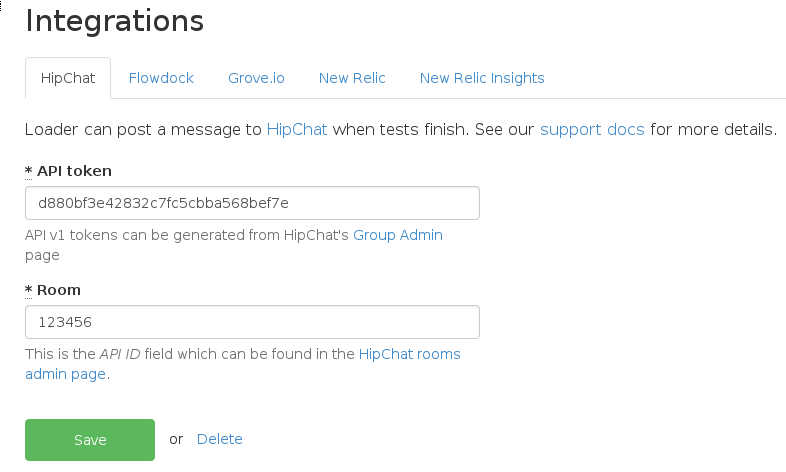 Now you'll get notifications in HipChat with a short summary whenever a test is run!